DigiTwist is an experimental 2 axis satellite tracker, primarily for the HamTV transmitter on the ISS. 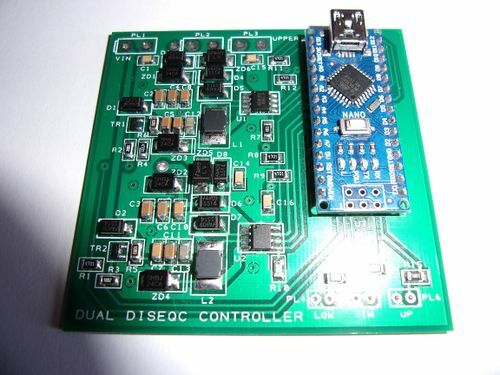 2 broadcast satellite dish positioners are connected together and are controlled by a dual Diseqc pcb. The estimated cost of the 2 positioners, the joiner bar and the controller is £130. It is experimental in the sense that the satellite positioners were never meant to be used in this way and may fail. Development is continuing, particularly as to the size of the dish that can be carried. 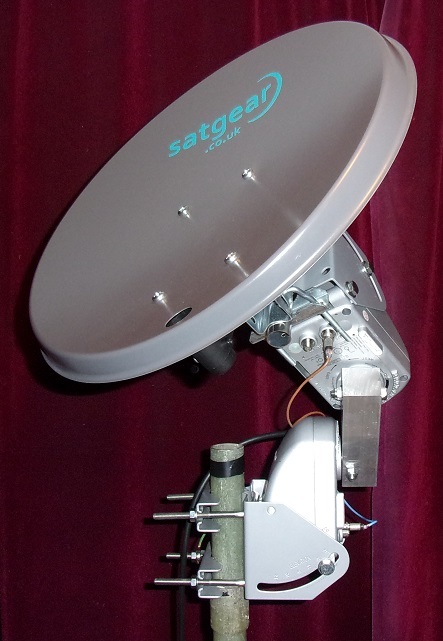 The 40cm dish shown is just for demonstration purposes. It has not yet received the ISS, mainly due to lack of opportunity. This page was last modified on 20 July 2018, at 00:17.